« What to do This Year? I saw it on the Discovery Channel, and it was fun, fascinating, generally unscripted and it highlighted normal, everyday people working in a variety of industries/occupations. Their jobs were important, but generally unknown. Some of the people were working down holes, in the dirt, in the sun, in dark caverns, in sewers, at farms, in and out of bodies of water and even on skyscrapers! Job titles like Worm Grunter, Sludge Cleaner and Mardi Gras Bladder Banger were featured alongside Coal Miners, Coffee Farmers and Heavy Machinery Mechanics. In total the show featured 300+ jobs across the United States. 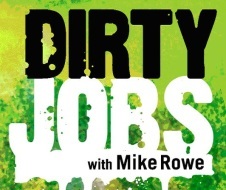 The show is called “Dirty Jobs,” and the host is a man named Mike Rowe. “Dirty Jobs” honors the skill levels of these non-glamorous professionals as Mr. Rowe attempts to perform the various job duties required of the occupations. First: While traveling throughout the country, humble tradesmen and women thanked Mike for recognizing the expertise their skilled trades required. These jobs are not appreciated by many, but they’re jobs we rely on people to do! Second: By being on the front line with them, Mike Rowe recognized the shortage of highly skilled workers occurring across the country at unprecedented rates (Mike Rowe Interview). The everyday tradesman is rapidly becoming an endangered species in our country despite the great pay offered in the occupations. 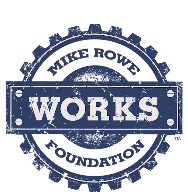 So, Mike Rowe has used his public platform to establish the mikeroweWORKS foundation found on the web at (http://profoundlydisconneted.com), and he’s teamed up with Caterpillar to award scholarships to deserving trades/students. He’s also worked with SkillsUSA (http://www.skillsusa.org), a dynamic organization that started when public schools began to phase vocational courses out of their curriculum. When a person starts out in the working world, Mike suggests focusing on the available opportunities in plain sight. He suggests looking at high-skill, in-demand jobs near you! And guess what? Here, in the Houston-Galveston Gulf Coast region of Texas, we need people to fill these types of jobs. Actually, we have a list of 40+ high-demand, high-skill, high-growth jobs that you can check out right now at Workforce Solutions. These High-Skill, High Growth Jobs feature above average wages, there are plenty of current openings, and they’re predicted to be in high-demand until (at least) the year 2020. But how does one start? 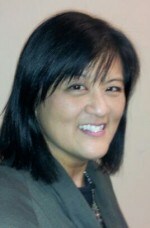 Seek out the many resources available at both the high school and community college levels. Visit with career counselors or department heads. And, of course, come see us at Workforce Solutions! We even offer financial support for qualified individuals by visiting Workforce Financial Aid. The opportunities are out there… They are “hiding” in plain sight! Start moving in the right direction today, and as Mike Rowe puts it, Work Smart AND Hard.